Buon Me Thuot in Vietnam (or Buon Ma Thuot) is a precious city that people always recommend you to go to enjoy the real coffee of this country. If arriving at the Central Highlands of Vietnam, then please enjoy some of your time in the capital city of Dak Lak Province: Buon Me Thuot. Buon Me Thuot is the largest city in the Central Highlands region of Vietnam, and is renowned as the “capital of coffee.” The city is at 536m above the sea level. Belonging to Dak Lak Province, Buon Me Thuot is the magnet for both coffee and tourism. The provincial capital of Dak Lak is around 360 km from Ho Chi Minh City, and 1410km from Hanoi. It might attract the considerable domestic travelers who admire off-the-beaten-track destination with the primitive forests, authentic coffee plantation, ethnic villages, national park, and picturesque waterfalls. Though Buon Ma Thuot is a little town, it is mostly busy with many ethnic minorities groups like Jarai, Rhade, and Ede people. In Ede language, “Buon Me Thuot” means “the village of Thuot’s father.” The major local economy is agriculture, and as noted thoroughly, this destination is famous for its coffee. Know that Dak Lak Province was founded by the French in 1904! 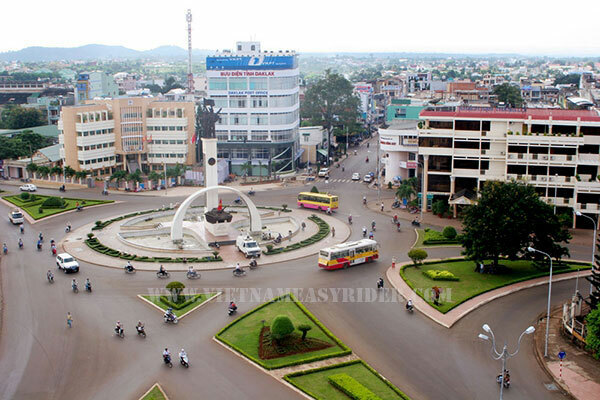 Previously, Buon Me Thuot functioned as the trading center on Srepok River, and later it was picked up as the provincial administrative center. That said, the original settlement in this area were the Ede people, and followed by the King people after the Vietnam War. Going through the wars, most parts of this city remains primeval and forested, making it the off-the-beaten-track place until today. Buon Me Thuot in Vietnam preserves the significant cultural heritage of the ethnic groups like Ede and M’Nong, Jarai, Rhade, etc. In total, there are 44 ethnic groups living harmoniously in Dak Lak. These ethnic groups are the big inspirations for the preeminent epics such as Dam San, or Dam Bri. Also, they own the precious tangible cultural heritages of the stone musical instrument (called “đàn đá” in Vietnamese), Gongs, and more. What’s more, the ethnic groups in this region hold their traditional mastery in sculpting statues in the tombs, knitting brocade, and native cultural rituals (elephant race, Gong festival, and harvest celebrations). Though the ethnic groups do not make the territory separation for inhabiting, they are mainly living in the central areas with the distinctive identity, culture, and characteristics of Vietnam Central Highlands. While Dak Lak is the best supplier of coffee in Vietnam, Buon Me Thuot is the significant area filled with the coffee trees. The Bazal soil in this area is ideal for growing coffee. In fact, coffee is the first trait that people think of whenever they hear about this destination in Vietnam Central Highlands, and inviting for a cup of coffee is the regional culture. So, if you get there, just enjoy a walking tour of the coffee gardens, see the coffee trees, and then enjoy a cup of Buon Ma Thuat coffee in Trung Nguyen Coffee Shop! 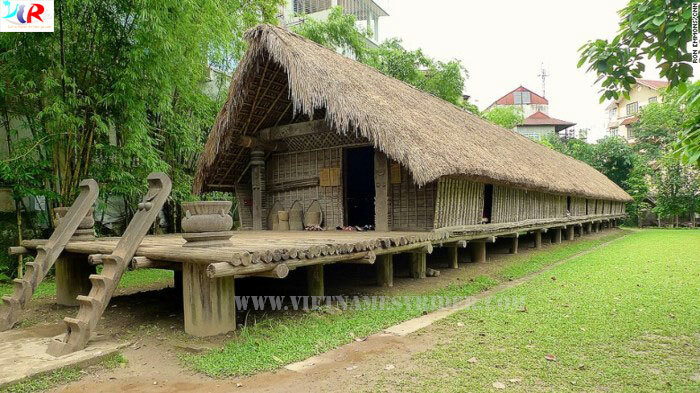 Talk about Buon Me Thuot things to do, do not forget Ako Dhong village. This village is nestled in the center of Buon Me Thuot City and is a pretty village of Ede ethnic group. The houses in Ako Dhong were designed traditionally as the long house with stairs the front as well as the flowery gardens. At present, you see the up-to-date villas behind Ede’s traditional houses. Though the old houses remain, their appearance has been changed more or less. Around 40km to the west of Buon Me Thuot City, Yok Don National Park was founded in 1991 to give protection to a biological area of the lowland forest. The whole national park covers 1155 square kilometer (not consisting of the buffer zone). 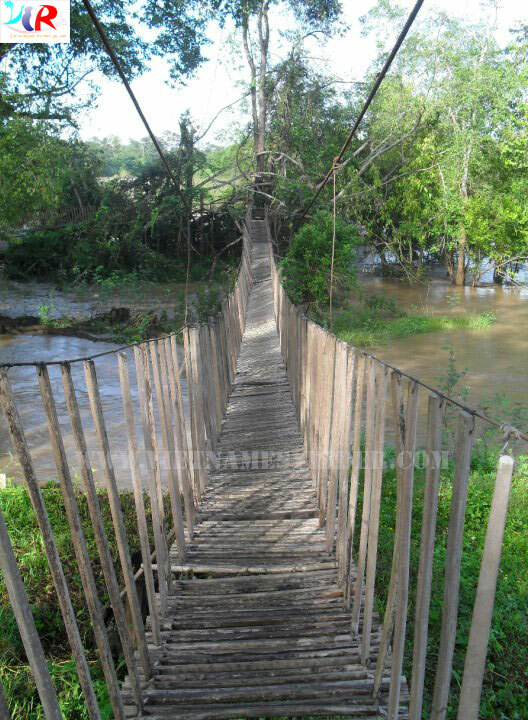 It shares the border with Mondulkiri Protected Forest of Cambodia to the west. Arguably, Yok Don is the perfect ecotourism site to enjoy wild yet protected nature. 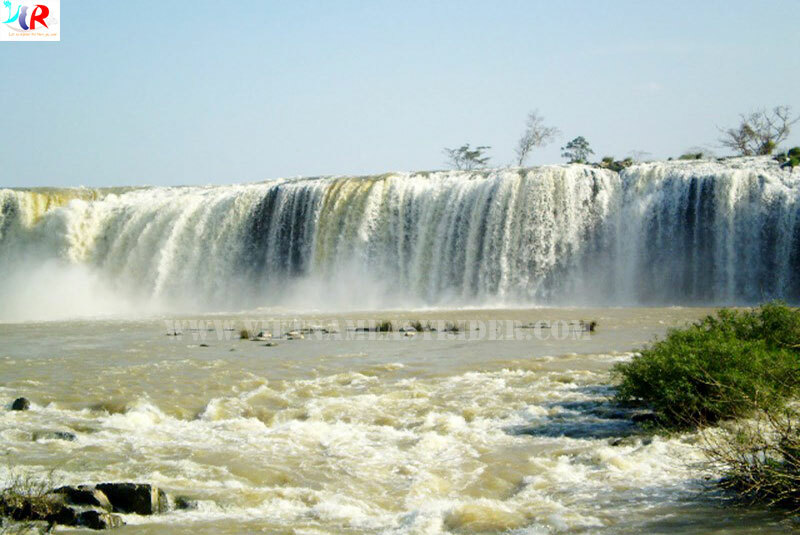 Around 30km from the south of Buon Me Thuot City, Dray Sap Waterfall is beautifully set on Srepok River. This is the most outstanding waterfall in the Central Highlands. Getting there, you find it exciting to be a part of the primitive nature with the lush forest, stunning waterfall, and age-old trees. The Waterfall itself is remarkable with its water run down to a valley that generates plenty of tiny droplets appeared similar to foggy or smoke. If you ask why to visit Drap Sap, the answers might include the unspoiled nature, amazing view, and clear source of water. What’s more, nearby Dray Sap is the majestic waterfall named Dray Nur and Gia Long. They are all worth a trekking and sightseeing trip. You might feel interested in a place dedicated to hunting and taming the wild elephants: Buon Don. This well-known site is around 40km from Buon Ma Thuot to the northwest. Know that this village is home to Ede ethnic group who are the major residents here. Coming to Buon Don, you can expect to experience an elephant ride crossing the pristine Srepok River or just walking around the traditional houses and mingling with the Ede people. One attractive site to see in Buon Don is the tomb of King of Elephant, Khun Yu Nop, who is legendarily expert in hunting and taming the wild elephants. The title “King of Elephant” was offered to Khun Nu Nop by the King of Thailand once he gave the King a “White Elephant” as a gift. You can take the daily direct flights to Buon Me Thuot Airport from Da Nang and Ho Chi Minh City. 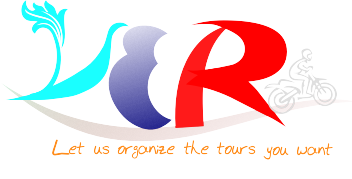 After that, take a taxi or bus to reach the city center, around 10km from the airport. • From Nha Trang to Buon Me Thuot: Take the National Highway No. 26 for a 183km drive from Nha Trang to Dak Lak Province. It is a 3-hour drive that gives passengers the fascinating view of the gorgeous landscape. • From Ho Chi Minh City to Buon Me Thuot: Take the National Highway No. 14 to drive from Ho Chi Minh City to Dak Lak Province for 360km. • From Da Lat to Buon Me Thuot: Take the National Highway No. 27 to reach Dak Lak from Da Lat for 200km. The road might be quite winding to some drivers, so be careful! This destination has a tropical monsoon climate with two distinctive seasons as well as the cool vibe of the Highlands. Such weather characteristics give Buon Me Thuot Vietnam the advantages to cultivating some industrial plants of coffee, cotton, and rubber trees. Also, know that the average temperature in this “Capital of Coffee” is 24 Celsius degree. • May to October: This is the rainy season in Buon Me Thuot with the heavy amount of rain that might interrupt travel and cause stress. Therefore, check out the weather forecast before you go. • November to April: This is the dry season when it is cold, dry, and windy. As usual, for the outdoor explorations and games, the dry season (November – April) is the best time to visit Buon Me Thuot. In the dry time, access and travel become much easier.